Now that Suzuki dealerships are accepting bookings for the Burgman Street, readers who are potential customers inform IAB that it costs INR 71,938 (ex-showroom Mumbai). Suzuki Motorcycles India is to reveal the prices on 19 July. Display models have started arriving at Suzuki dealerships across India. The on-road price of the Burgman Street in Mumbai, readers say, is INR 83,700, while accessories like Helmet, parking cover, seat cover and number plates come for an additional INR 1300. The Suzuki Burgman Street's deliveries will start once the scooter launches on 19 July. 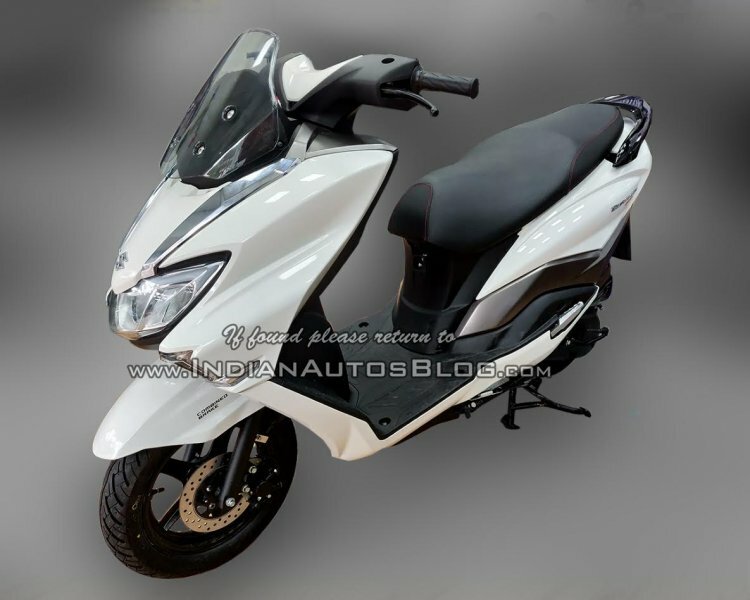 The maxi-scooter is available in three colour options – Black, Matte Grey, and Pearl White. Designed after the flagship Suzuki Burgman 650 maxi-scooter, the Burgman Street made its Indian debut at the Auto Expo 2018. For the domestic market, Suzuki will position the baby Burgman above the Access 125. 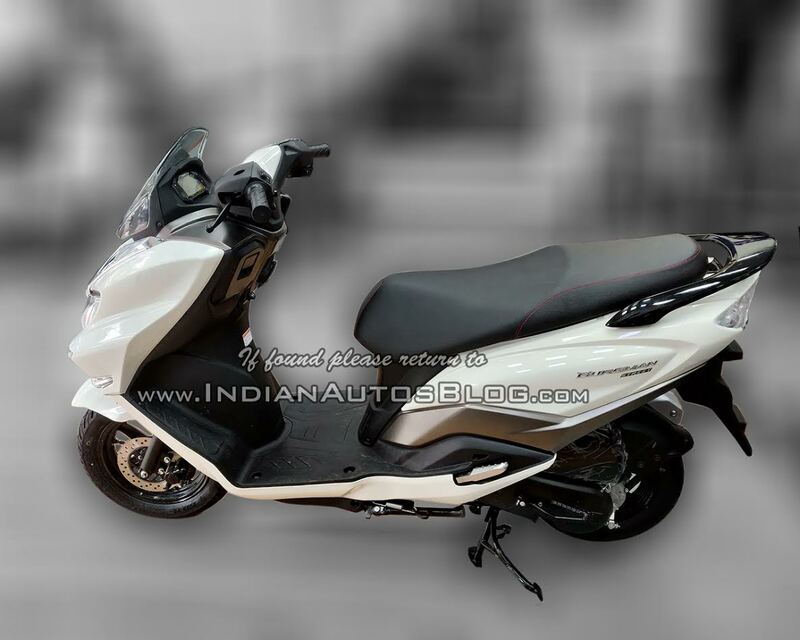 Suzuki dealerships are accepting bookings for the scooter at an amount of INR 5,000. The design elements on the maxi-scooter include a bulbous fairing with a high-set visor and wide handlebars. The Burgman gets LED lighting all-around with an all-digital instrument cluster, a multi-function key slot, 12V Smartphone charging socket, and generous under-seat storage space. The Suzuki Burgman Street employs a 124.3 cc, single-cylinder, carburetted engine the generates 8.4 bhp of maximum power at 6,500 rpm along with a peak torque of 10.2 Nm at 5,000 rpm. The motor pairs to a CVT. The two-wheeler gets a fuel tank capacity of 5.6 litres and a kerb weight of 110 kg. Anchorage on the maxi-scooter comes from a disc brake up front and a rear drum brake, while CBS (combined braking system) is standard. Deliveries of the Suzuki Burgman will begin once the scooter launches on 19 July. The Suzuki Burgman Street will rival the Aprilia SR 125, Honda Grazia, and TVS Ntorq 125. A telescopic fork up front and rear mono-shock shoulder suspension duties on the Burgman. The Burgman Street features 12-inch front and 10-inch rear alloy wheels wrapped with 90-section tubeless tires.